It's always good to see the Liars together. They work best as a team. Pretty Little Liars Season 5 Episode 10: "A Dark Ali"
I'm sorry, do we seriously have to remind you that you were never actually kidnapped? Permalink: I'm sorry, do we seriously have to remind you that you were never actually kidnapped? Right now we're just as big and fat as she is. Permalink: Right now we're just as big and fat as she is. 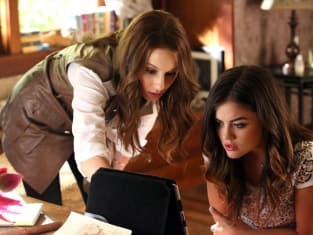 Pretty Little Liars Clips: Is Ali Friend of Foe? 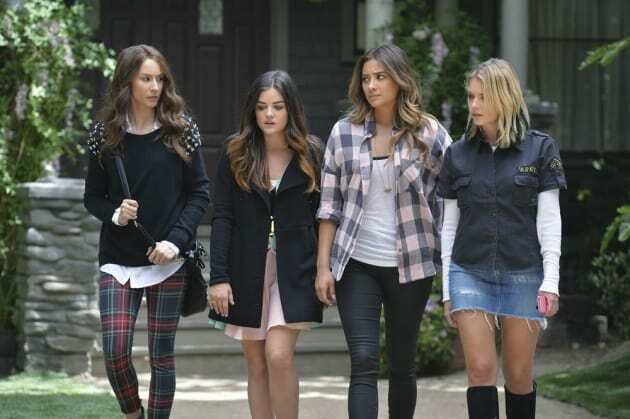 Pretty Little Liars Clip - Carrot Stick?